BSPHCL Assistant Operator/Switch Board Operator Admit Card 2018: Bihar State Power (Holding) Company Limited is going to hold the Assistant Operator examination shortly. For this, the competitors have to download BSPHCL Assistant Operator/Switch Board Operator Hall ticket. The applicants are hereby informed that the admit card/hall ticket will be accessible to download from BSPHCL official portal, bsphcl.bih.nic.in. Aspirants can download the hall ticket when the link is activated on the website. The hall ticket contains the details of the examination date, timings, exam venue details, and other details. Aspirants can check all the details once after downloading the admit card. Also, all the candidates are informed to carry the admit cards without a fail. The examination officers will allow the candidates to the exam only after checking the admit cards. Hence the aspirants need to carry the hall tickets when going to the examination. More details about the BSPHCL Hall Ticket 2018 are given below. 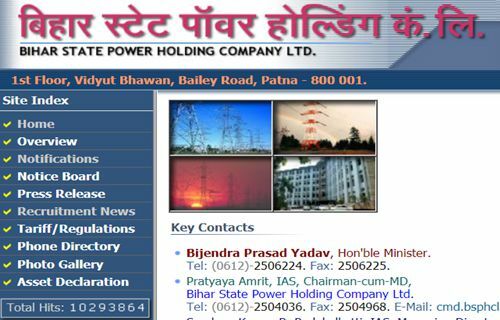 Bihar State Power (Holding) Company Limited (BSPHCL) is the state-government organization that works for power supply. The organization annually announces various job notifications to hire the suitable aspirants into the vacant positions. BSPHCL recently announced 300 Assistant Operator posts and 1000 Switch Board Operator-2 Posts. The applications received from the suitable aspirants from 18th September to 8th October 2018. During the application dates, many of the hopefuls applied for the assistant operator posts. The organization will shortlist the suitable aspirants based on their merit. Various rounds of the selection process will be held to select the suitable candidates. The organization will conduct the written test and interview rounds to select the suitable aspirants. Hopefuls who are going to attend the BSPHCL Assistant Operator/Switch Board Operator examination can download the hall ticket from the official website, bsphcl.bih.nic.in. The hall ticket/admit card will be accessible to download before 10 days of the examination (tentatively). Aspirants can download the hall ticket and take a printout of it to carry to the examination. Check the details of candidate’s name, register number, hall ticket number, DOB, Signature, photo of the candidate and other details from it. Once after checking all the details, candidates can take the printout of the hall ticket. Complaint to the BSPHCL authorities if there is any printing mistake exists on the hall ticket. The authority will take the necessary steps to correction and re-issue of the hall tickets. Candidate will be informed regarding the date of examination by the email and SMS also. Admit Card will be downloaded from the BSPHCL official website. Admit card will be computer generated only and will not be sent by post. The competitors must report at the examination centers before 30 minutes of the examination. Also, it is required to carry any valid identity proof such as Aadhar Card, Pan Card, or passport Xerox copy along with the admit card. Candidates must carry both hall ticket and admit card while going to the examination. Check the following guidelines to download the hall ticket. Search the BSPHCL Assistant Operator Hall Ticket download link in organization website. Check the information in BSPHCL AO Hall Ticket 2018.